These carriage bolts come plated in zinc. The flat styled head allows for a smooth exterior finish. 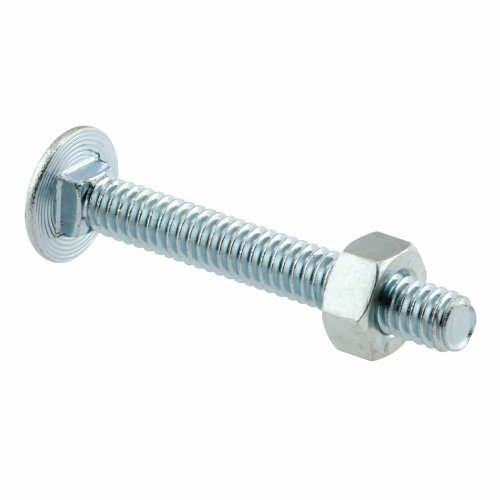 These bolts are used to attach most hardware to garage doors. Fasten master thrulok, 24 pack, 6-1/4", no pre-drilling bolt, replaces a through bolted connection, installs with an 18V cordless drill, no drill bits or wrenches required, galvanized coating meets irc ACQ corrosion requirement, lifetime performance guarantee. Warranty: ThruLOK is fully guaranteed for the life of the project against rusting or corrosion. Fasteners are not intended for use within 1,000 feet of saltwater applications. LASCO 04-3817 Tank To Bowl Bolt Set With Gasket, Eljer, Solid Brass. Eljer solid brass tank to bowl bolt set . Comes with 2 brass bolts, nuts, washers and molded rubber gasket with ears. Use to attach toilet tank to bowl . Easy installation. Toilet tank installation kit. Easy installation. 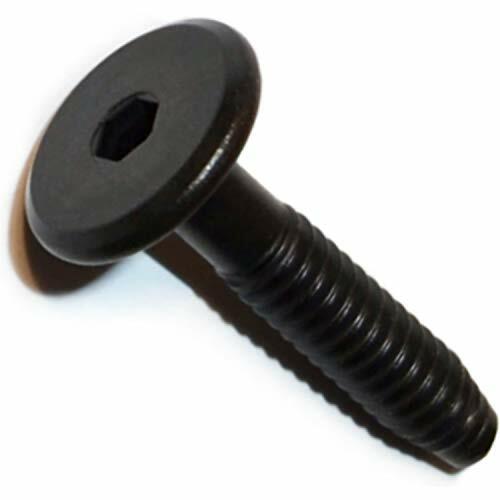 Hex bolts are one of the most common fasteners and can be used in a wide variety of applications. The 6 sided head makes them easy to install using a standard wrench or socket tool. Nuts and washers are not included, so will need to be purchased separately. 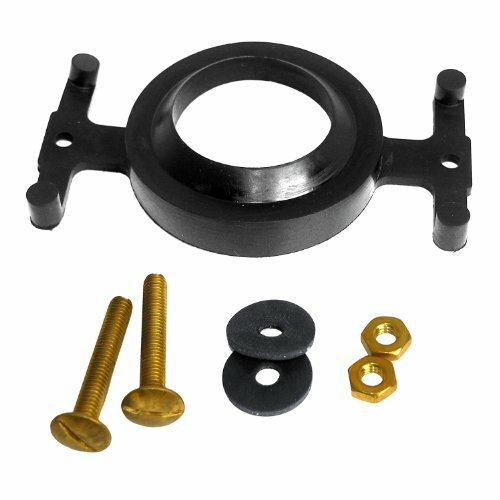 Washers help to evenly distribute the load and should always be used under the bolt head and under the nut (just under the bolt head if installing into a threaded hole). Flat washers and finished/standard hex nuts work great for most applications, though if the bolt may be subject to excessive vibration, it is recommended that lock washers and lock nuts be used instead. Fasten master thrulok, 24 piece, 8", no pre-drilling bolt, replaces a through bolted connection, installs with an 18V cordless drill, no drill bits or wrenches required, galvanized coating meets irc ACQ corrosion requirement, lifetime performance guarantee. 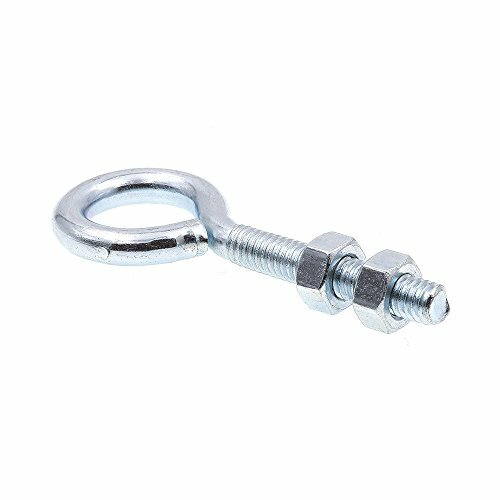 Eye bolts feature a closed loop on one end, which makes them useful for securing wiring, rope, cable, chain and etc. 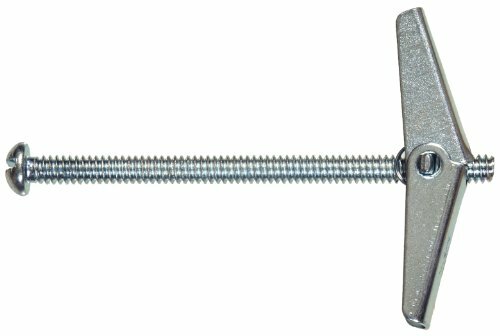 The other end features machine screw threads that allow the bolt to be secured using included hex nuts. 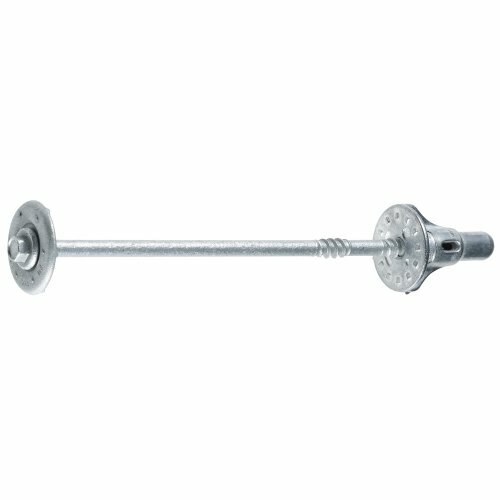 It is very important to choose the proper eye bolt for your application based on load requirements. The MS-B7 series bolt seals are used for securing truck trailers and cargo containers. These bolt seals are designed as a one-time use product which means once the seal has been locked it must be removed by destroying the seal. Each bolt seal features a unique laser engraved serial number on both the bolt shaft and the locking mechanism. The MS-B7 series bolt seals feature an anti-spin feature which provides added security to prevent un-authorized entry and tamper evidence. These bolt seals also feature a unique metal-on-metal interlocking mechanism for added cargo security. These seals are C-TPAT compliant and meet the new design and construction standards of ISO 17712:2013. With a longer bolt shaft and wider bolt head it accommodates a wider variety of truck trailer and cargo container doors and provides better access with bolt cutters for removal. 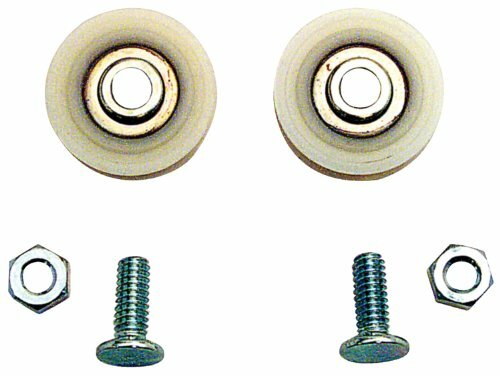 These authentic NovaVision bolt seals have the company name NOVAVISION molded into the plastic encasing the bottom of both the bolt and lock housing. Brand: NovaVision, Inc. | Manufacturer: NovaVision, Inc. 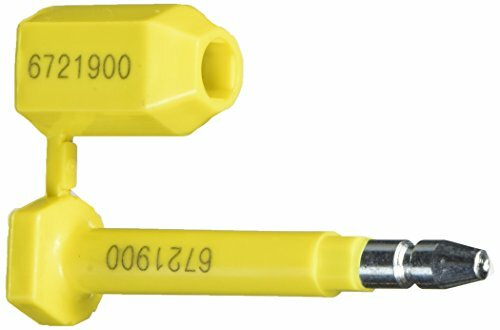 The individual gauges rotate freely on the wire cable for fast verification. 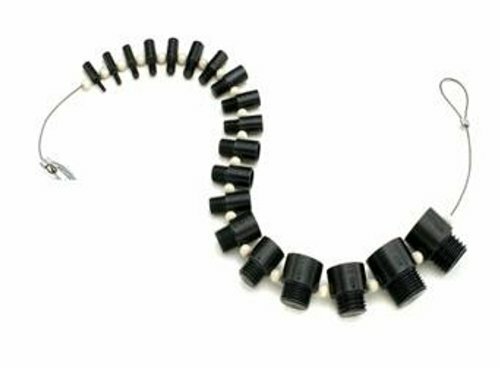 Includes: (21) Sizes: 3mm x 0.5, 4mm x 0.1, 5mm x 0.8, 6mm x 1.0, 7mm x 1.0, 8mm x 1.0, 8mm x 1.25, 10mm x 1.0, 10mm x 1.25, 10mm x 1.5, 12mm x 1.25, 12mm x 1.5, 12mm x 1.75, 14mm x 1.5, 14mm x 2.0, 16mm x 1.5, 16mm x 2.0, 20mm x 2.0, 20mm x 2.5, 24mm x 2.0 & 24mm x 3.0. 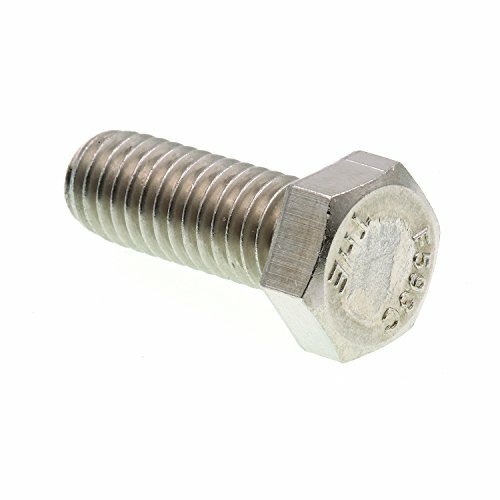 Accurate and easy-to-use thread verifier for both nuts and bolts. Metric gauges are black oxide. 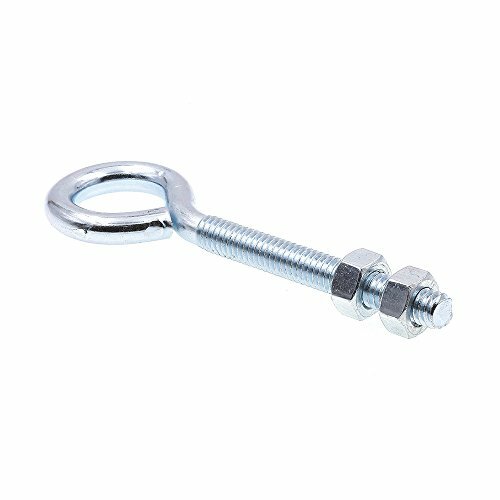 Zinc Plated Chain Bolt 6"
The Hardware Essentials Chain Bolt is designed to provide security for doors on garages, warehouses and other industrial type buildings. Features a spring action bolt. Hinges can be used with in and out swinging doors. Made of a durable steel material. Can be installed on wood and metal doors. Package includes mounting hardware and instructions. Hurricane Bolts are made of strong bad durable stainless steel. They are ideal for installing hurricane panels to storefronts and sliding glass doors. Normally used in conjunction with lead anchors. 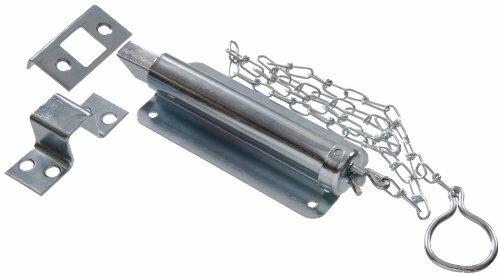 This latch guard is constructed from extruded aluminum. It helps to protect your door from forced entry. It is used on both in and outswinging doors. 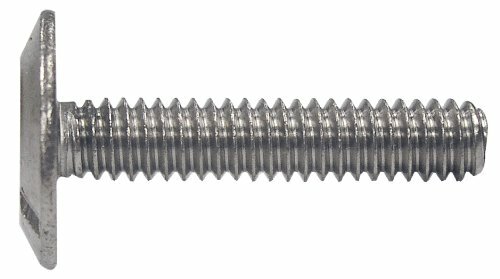 GRK's RSS Rugged Structural Screw is made of specially hardened steel to provide you with high tensile, torque and shear strength. The sharp threads and points bite instantly into the material (including hardwood), reducing the splitting effect due to smaller shanks. 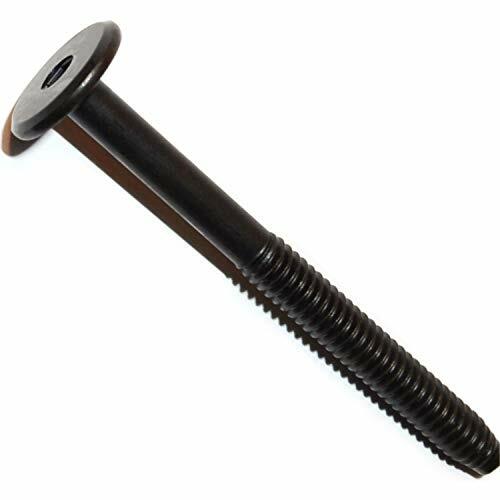 RSS screws which are 3"1/8 and longer have a six threaded CEE thread that enlarges the screw hole for the non-threaded portion of the fastener, allowing the wood to settle easily and increasing the screw's drawing strength. The CEE thread also reduces the likelihood of splitting the wood and the friction on the screw shank which can result in lowering the driving torque. Our round head with built-in shield (washer type head) has no sharp edges such as on conventional lag screws. The added shoulder (nominal diameter) underneath the washer has the ability to center the RSS screw in pre-drilled hardware like hinges and connector plates. Short lengths of the RSS may also be used to install wire diamond mesh for stucco buildings. The #30 Star Drive will deliver approximately 650 lbf of energy, eliminating the need to drill a pilot hole. 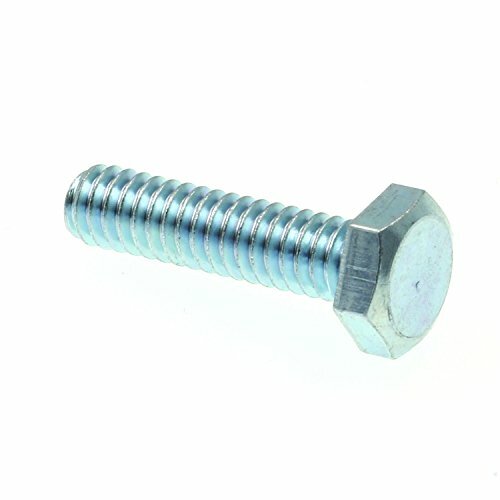 The RSS screw is the only lag screw replacement of its kind. Hurricane bolts are made of strong, durable stainless steel. 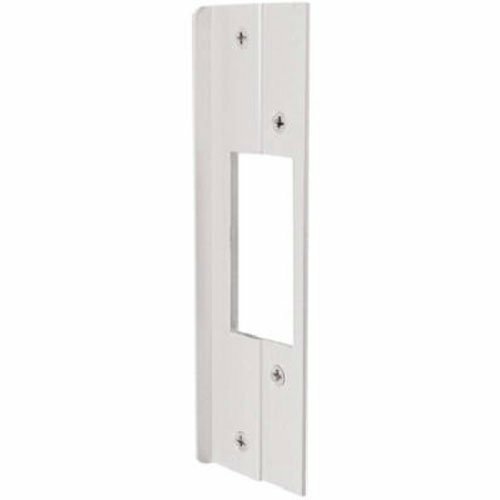 They are ideal for installing hurricane panels to storefronts and sliding glass doors. Normally used in conjunction with lead anchors. Parts have a combination drive type.